If you love a bit of applique paired with great fabrics, you'll love Spinning Wheel!! The traditional Reel block is front and center in this quilt, making a striking statement. 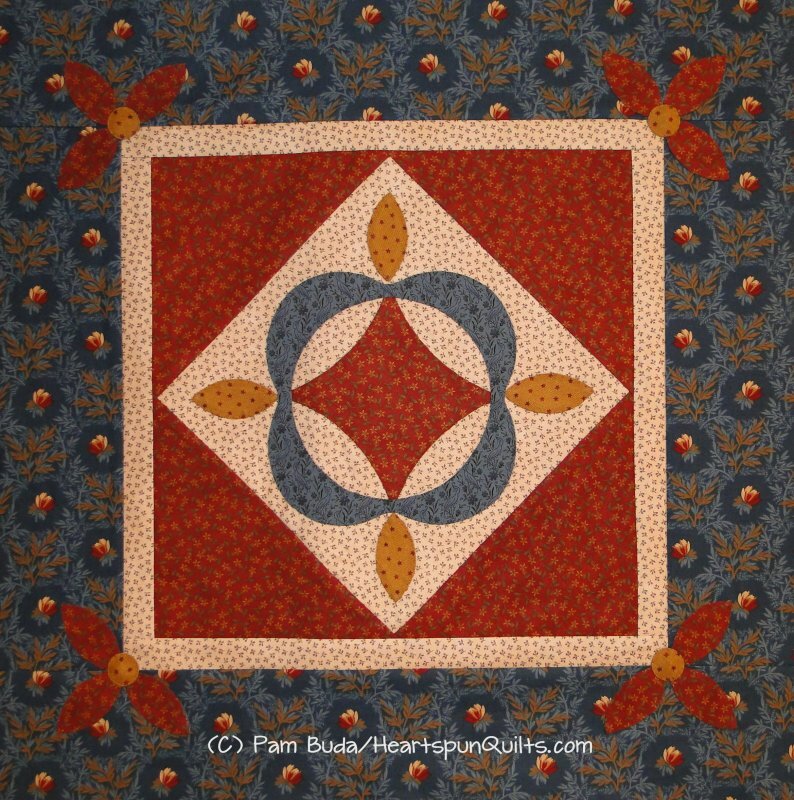 Surround the Reel block with great border and coordinate fabrics for a wonderful wall hanging or table topper. Add a bit more applique to the borders for the perfect finish!! Quilt size is 19 1/2" x 19 1/2". If ordering outside of the US, please email me and I will send you a PayPal invoice for the pattern and appropriate postage.